This blog post was featured on Momma Blogger, so that is the reason for the intro 🙂 Hope you enjoy! Hi, I’m Jenny and I blog over at SweetBakesandBabyCakes. I am a Mom to one very sweet little boy and expecting another at the end of December! 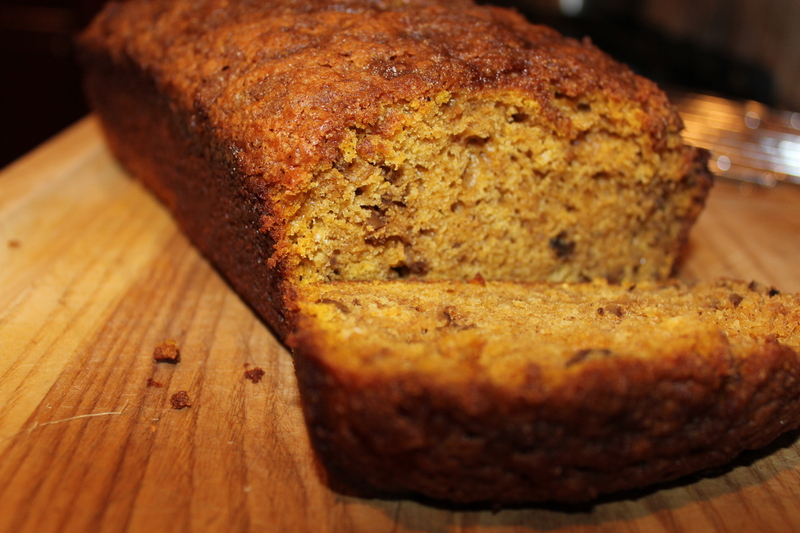 When I’m not busy taking care of my son (which doesn’t seem to be very often 😉 I love to bake, and Fall is my favorite season so when Susan approached me about being featured on Momma Blogger I jumped at the opportunity as it gave me a reason to test out a new pumpkin bread recipe I’ve been dying to try! Cooks Illustrated is a magazine/website we subscribe to that is sort of my “go to” when I’m looking to try a new recipe that I want to be great. I love that they test and re-test until they get exactly the results they are looking for, and that they institute the science behind the cooking. I can honestly say that I have never made a recipe of theirs’ that I did not thoroughly enjoy. Although this bread is not something that can be thrown together in a matter of minutes, I can assure you that the prep time is well worth the end result! The bread came out perfectly moist with just the right amount of “pumpkin-y” (yes I’m pretty sure I just made that word up) flavor; and I’m so glad the recipe yielded two loaves because I have another one in the freezer ready to pull out the next time we have company! 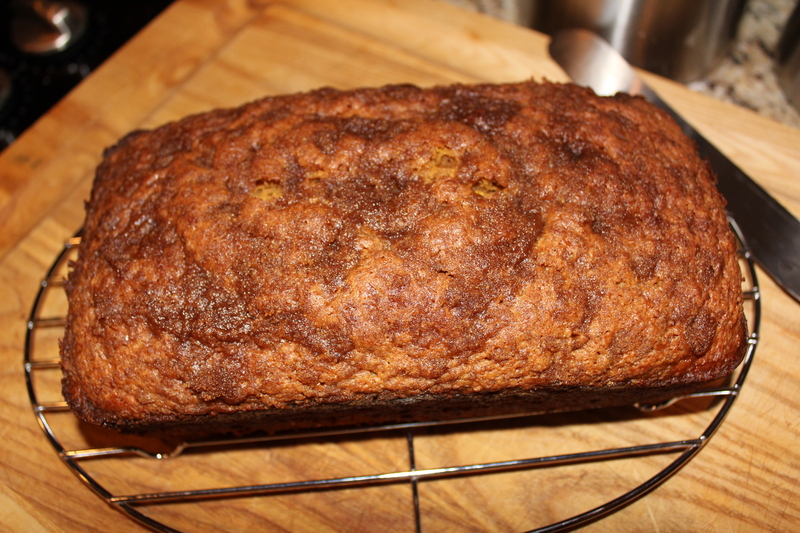 Not to mention, it made my house smell divine while it was baking. 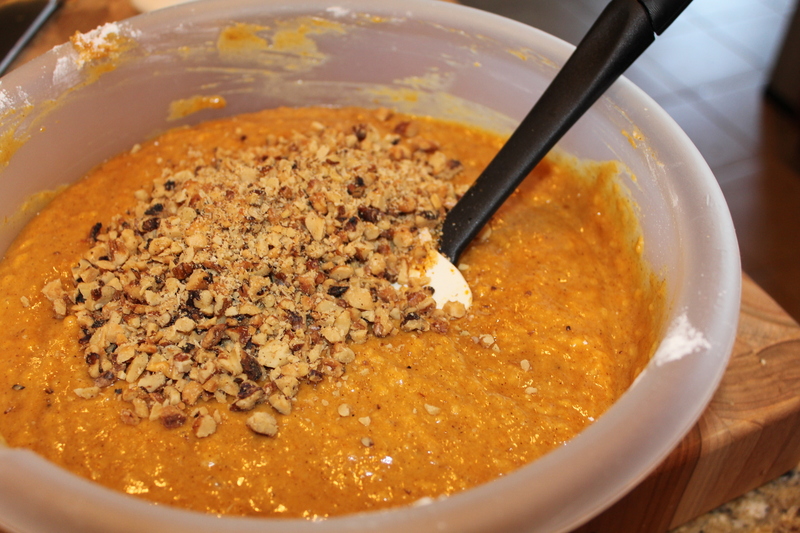 FOR THE TOPPING: Using your fingers, mix all ingredients together in bowl until well combined and topping resembles wet sand; set aside. FOR THE BREAD: Adjust oven rack to middle position and heat oven to 350 degrees. 2. 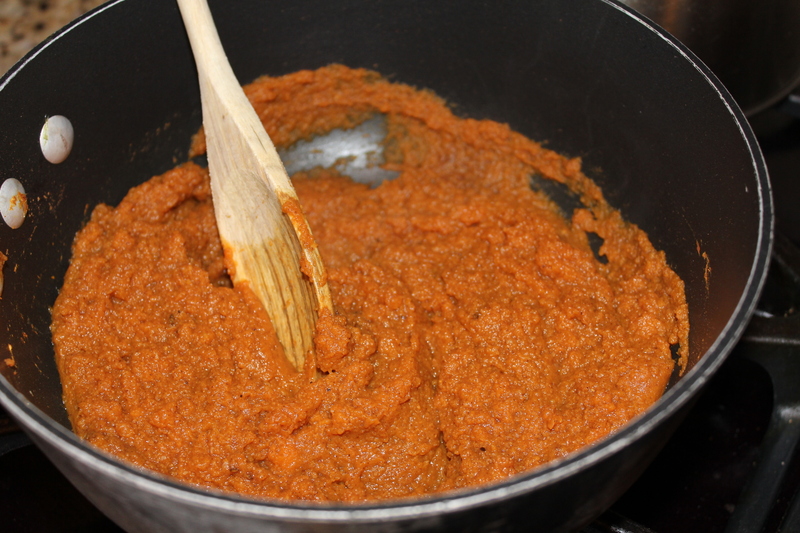 Combine pumpkin puree, salt, cinnamon, nutmeg, and cloves in large saucepan over medium heat. Cook mixture, stirring constantly, until reduced to 1½ cups, 6 to 8 minutes. 3. 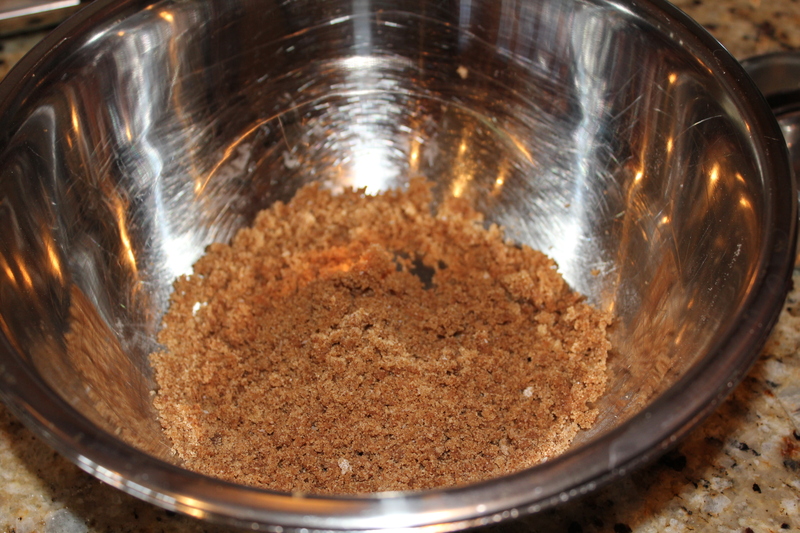 Remove pot from heat; stir in granulated sugar, brown sugar, oil, and cream cheese until combined. Let mixture stand for 5 minutes. 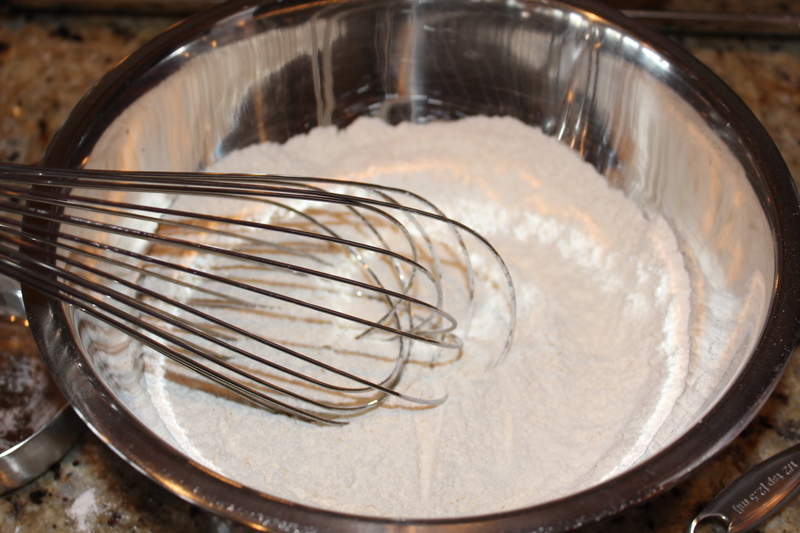 Whisk until no visible pieces of cream cheese remain and mixture is homogeneous. 4. Whisk together eggs and buttermilk. 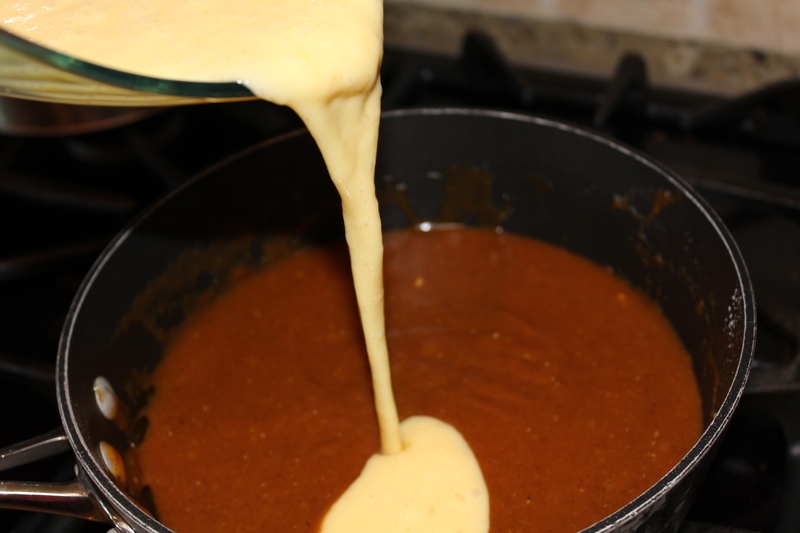 Add egg mixture to pumpkin mixture and whisk to combine. 5. 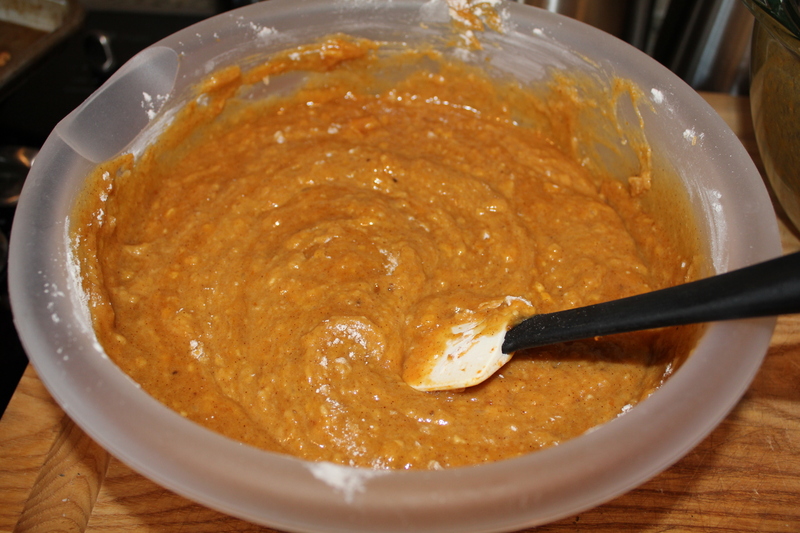 Fold flour mixture into pumpkin mixture until combined (some small lumps of flour are OK). 6. Fold walnuts into batter. Scrape batter into prepared pans. 7. Sprinkle topping evenly over top of each loaf. 8. Bake until skewer inserted in center of loaf comes out clean, 45 to 50 minutes. Let breads cool in pans on wire rack for 20 minutes. Remove breads from pans and let cool for at least 1½ hours. 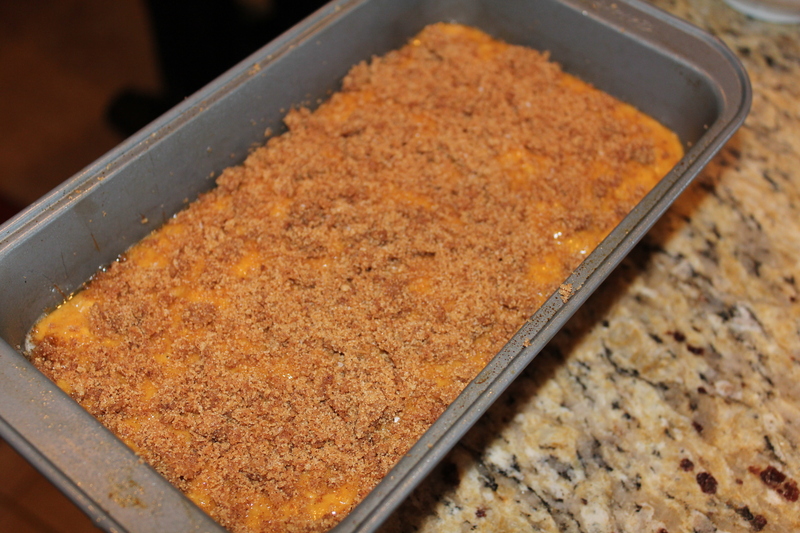 Serve warm or at room temperature adding butter or cream cheese as you please (In my opinion the bread doesn’t need any of that) The brown sugar crumb topping seeped down into the bread and gave it just the right amount of sweetness it needed to be delicious all by itself.